The refrigerator was used as early as 1830 in the United States. 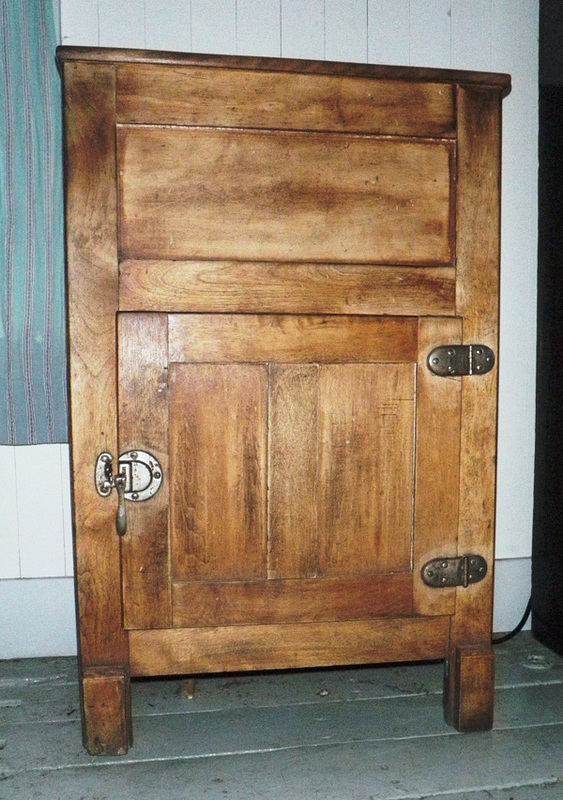 Most refrigerators were lined with zinc, slate, porcelain, galvanized metal, or wood. The wall of insulation was made of charcoal, cork, flax straw fiber, or mineral wool. Refrigerators incorporate the concepts of insulation and air circulation. Ice is typically placed on the top shelf of the refrigerator. Air flows to the ice, causing it to melt and cool the air. This cool air drops to the bottom of the refrigerator, displacing warmer air. When the warm air rises, it takes with it the heat from the food stored in the lower shelves. Opening the refrigerator door interrupts the circulation. The ice for refrigerators was harvested in the winter from the North Saskatchewan River. By the late nineteenth century, there were several companies who harvested ice, including the Edmonton Ice Company, established in 1899, and the Arctic Ice Company, established in 1901. These companies would store ice and then deliver it to customers using horse-pulled wagons. 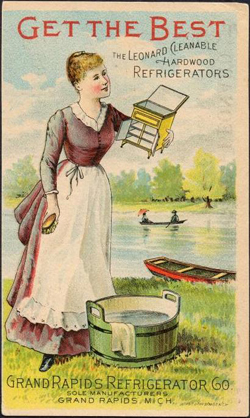 If you are familiar with this artifact, you may be inclined to refer to it as an “icebox,” but the term used in advertisements and catalogues of the period was refrigerator.